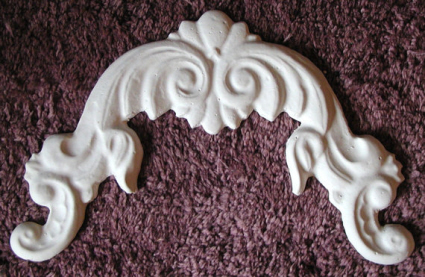 Our Dora Arch plaster mold design is great for using as an adornment over doorways or windows or in corners of walls or ceilings for that true ornate beauty that just knocks you to your knees. 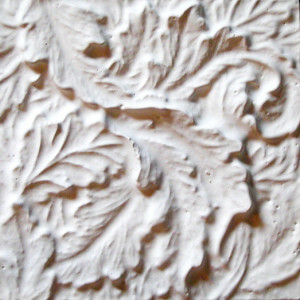 Try casting 4 of them then creating an ornamental circle around a light fixture or to create a unique and beautiful raised frame on a plain door or large piece of plain furniture. 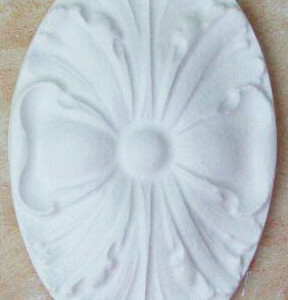 Casting plaster is easy and CHEAP! 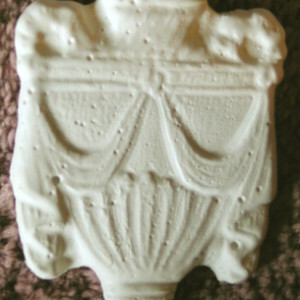 Mix Plaster of Paris 2 parts plaster to one part water, stir well, pour in to the mold after spraying with Pam cooking spray or other release agent, wait 30-45 minutes then pop it out! Let it dry completely. Applying it to the wall is a cinch! Just spread the back with a coat of joint compound, hold to the wall for about 1 minute and it’s there good and solid! Fashion ceiling frames in rectangles or squares around your light fixture, combined with round medallions or combined designs or even just a frieze over a doorway. It’s a blast and it’s so very beautiful!